The richest sprint race in Adelaide autumn season, the Goodwood, comes sround this weekend, and as usual has attracted a strong field. Previous winners of this race include the likes of Black Caviar and Takeover target, who went on to garner plenty of success both at home and abroad, and this weekend-s race provides a number of strong runners an opportunity to build their pedigree. With eight horses starting at odds of 10.00 and under, a close race is expected, with little to choose from between the top sprinters lining up for this year’s race. The best place to have a bet on the 2014 Goodwood Handicap is with Bet365.com. The odds below were taken from the site, and you will be able to find the latest race odds there as well. Bet365.com is also offering each-way betting on the race, with which you will receive 1/4 if should your selection place in positions one to three. The winner of last year’s race, Platelet, lines up again for another crack at the title this year, but faces strong opposition this year, most notably in the form of the Gai Waterhouse-trained Driefontein, who has beaten Darren Weir’s sprinter in his last two starts at Morphetville, in a Group 3 and the Group 1 Sportingbet Classic over the same distance as the Goodwood this Saturday. These two horses are by no means the only in the horses in the race, however, and punters will be keen to have a look at the form of Sistine, who, with seven wins from his last eight starts will be a more than handy opponent come raceday. In fact, looking throughout the field, you will find winners. Daniel’s Clarken’s Miracles Of Life, for example, who recently came out on top of a Group 2 race at very same Morphetville where he will start as second favourite this Saturday. Also looking decent in the formbook is Gregers, whi has placed in two of his last three starts, most recently third behind Driefontein and Platelet in the Sportingbet Classic, where he proved he can push these type of opponents to the line. Saturday’s race will be a big test of his temperament, however. 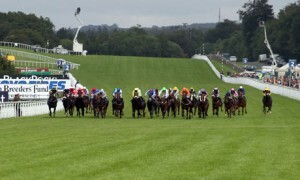 As mentioned above, the best racebook to place a bet on the 2014 Goodwood Handicap is Bet365.com, who will offer the best odds on the race. When visiting Bet365.com, click on ‘Horse Racing’ in the left sidebar and scroll down to the Antepost section of the page, where you will find the markets for this race and many more. The Goodwood Handicap is a Group 1 race for horses aged three and older and is run over a distance of 1200 metres at Morphetville Racecourse in South Australia. The race offers prize money worth $500,000 and the 2013 edition of the race was won by Platelet, with champion raider Black Caviar winning the year before.